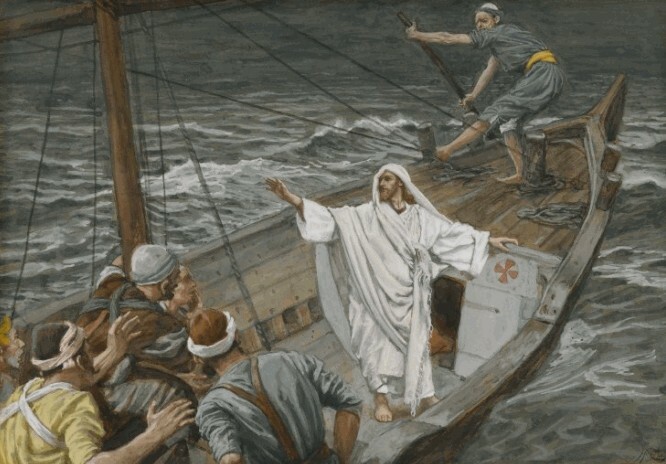 On one occasion Jesus was asleep in the ship when a great storm arose on the Sea of Galilee. His disciples were frightened and awakened him. He rebuked the wind and the sea and there was a great calm. The disciples marveled saying, "What kind of man is this? Even the winds and the waves obey him!" When Jesus taught from a ship to the multitude standing on the shore he used many illustrations; everyday stories the people would readily understand. Some of the stories were parables which had a deeper meaning than the simple telling of the story. Thank you for this very nice lesson on the parables. P.S please make the activities online.